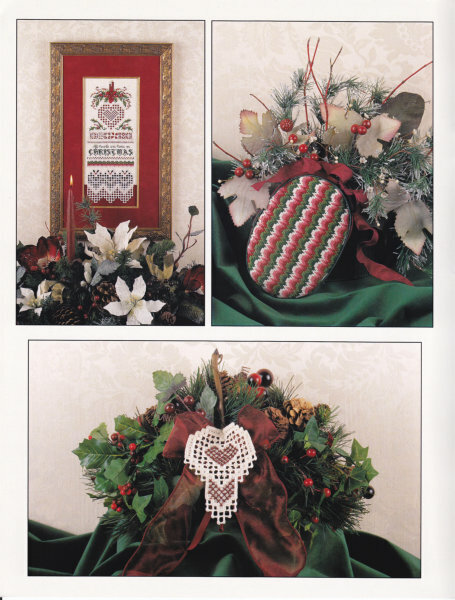 This Ginnie Award-winning book has designs for a sampler, ornaments, table runner and box top. 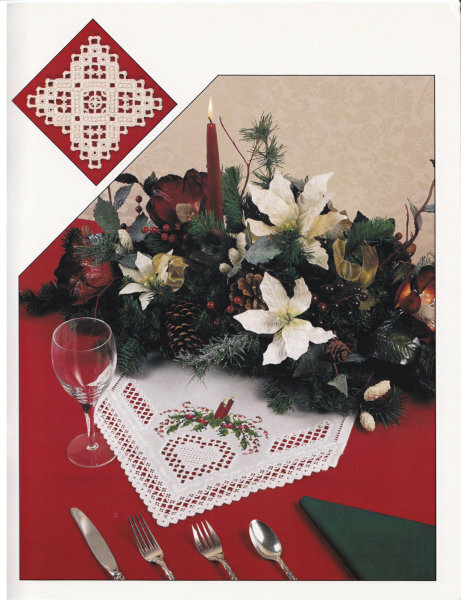 Each design has been created in glorious Christmas colors accompanied by delicate Hardanger. This 16 page book has four pages in full color. 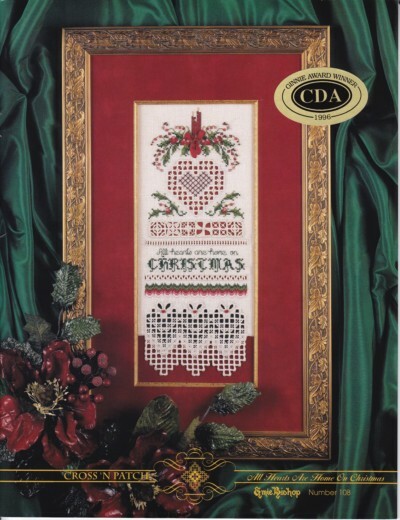 It was awarded the "Embroidery" award and the "Ginnie" Book award for excellence in charted needlework.